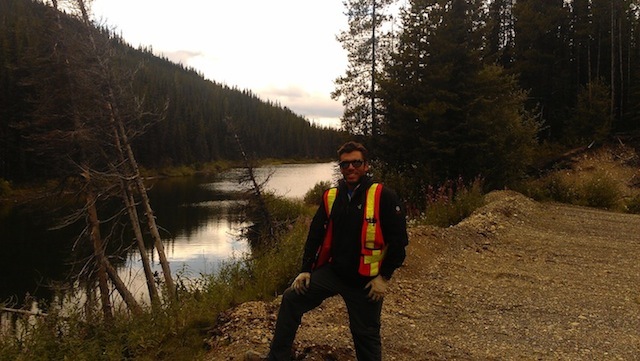 I'm a multilingual (fluent in English, French and Spanish with limited proficiency in Italian) geologist with great leadership and drive for accomplish diverse tasks with an exceptional sense of responsibility and organization related to both exploration and mining fields. My constant self-improvement attitude and curiosity to live abroad brought me to apply for a Master of Science in UBC (MDRU) which I'm grateful and proud to be currently involved. I believe academic expertise is a key ingredient to succeed as professional in any field. I believe that my detailed and methodological approach to face multiple tasks and my social skills while solving problems in a team make me a suitable individual to work in the geoscience industry. Among my interests are being an amateur athlete (UBC varsity rower), travel and explore new places and cultures, constant learning in self-improvement (Neuro-linguistics Programing NLP and coaching systems), geoscience (short courses, seminars and workshops) and business (innovation technologies, entrepreneurship and marketing). The resistate minerals in mineralized and altered portions of British Columbia’s alkalic porphyry copper deposits suggests that these minerals can be utilized as indicators of mineralization and used for exploration in terrains covered by glacial till. Porphyry indicator minerals are chemically stable in weathered environments, have a high specific gravity, are sufficiently coarse-grained and display characteristic features, all of which can directly link them to a porphyry-related alteration assemblage. These minerals typically display unique physical properties, such as colour, size and shape, which allow their presence to be used as a prospecting tool in a manner similar to that in which kimberlite indicator minerals (KIMs) are used. Moreover, the chemical compositions of PIMs can further identify and confirm mineralizing environments that relate directly to specific alteration zones in porphyry systems. Although easy to collect in heavy-mineral concentrates, these PIMs have rarely been used in porphyry exploration. Therefore, by evaluating the presence, abundance, relative proportions and compositions of PIMs from surficial materials, it is possible to follow-up geophysical and stream-sediment geochemical anomalies, which can act as vectors toward concealed alkalic porphyry copper deposits in highly prospective terranes, such as Quesnellia and Stikinia, in central BC. The purpose of this project is to identify the occurrence, types, relative amounts and compositions of selected PIMs in several alkalic porphyry deposits in order to elucidate important PIM signatures. • Establish criteria for use of resistate minerals as an exploration tool for alkalic porphyry deposits in south-central BC.